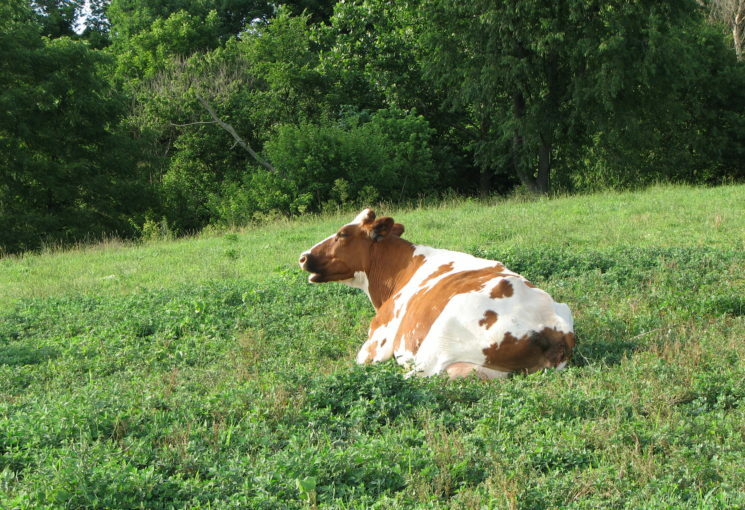 Most farmers handle, use and store hazardous chemicals for a range of activities. The effects of chronic exposure to chemicals, such as pesticides, are not always immediately obvious and sometimes do not appear for many years. Exposure through inhalation, direct skin contact or ingestion may cause skin irritation, cancers or respiratory sensitisation. For each chemical hazard identified, you should assess the likelihood and possible severity of an injury, harmful reaction or a hazardous incident occurring. This might include assessing procedures for decanting and using the chemicals, the effectiveness of protective equipment and how toxic the chemical is. 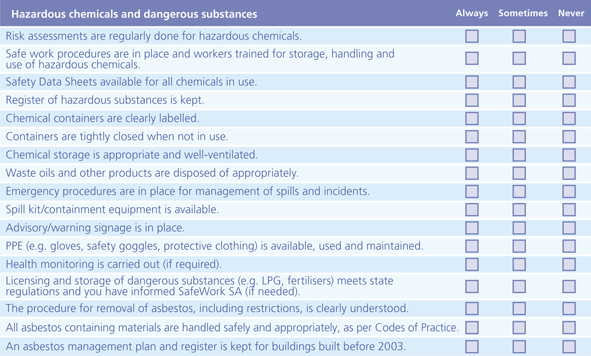 Use the quick safety scan below to assess hazardous chemicals and dangerous substances on your property. Items where you tick ‘Sometimes’ or ‘Never’ will need action to fix or do better. A hazardous chemical safety data sheet will have advice on safe handling, storage and use, and information about the chemical’s identity and toxicity. Chemicals need to be secured out of reach of children.